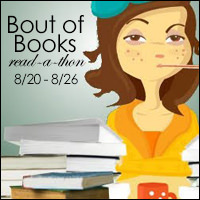 Yesterday was Day 1 for Bout of Books, a week-long readathon focused on reading more books. Today is the last day to sign up to join. Click HERE. to find out more information. 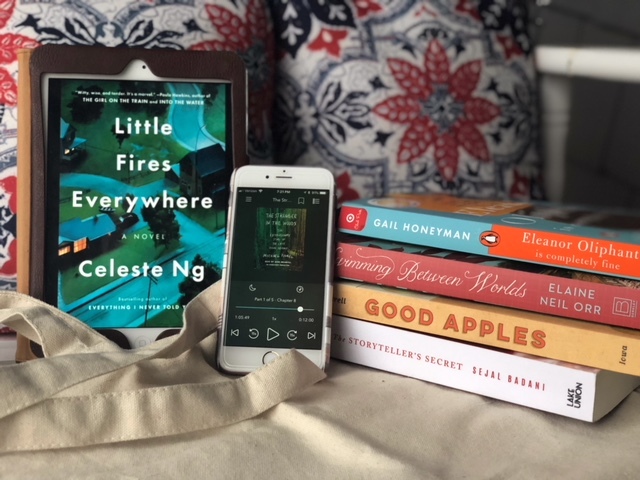 If you missed yesterday’s post featuring the books I’m hoping to read this week, click HERE. Well, yesterday ended up being quite busy. I listened to THE STRANGER FROM THE WOODS while getting ready yesterday. I read GOOD APPLES during our son’s physical appointment. Then once we got back home, we were too excited to see his senior pictures that we had picked up so we looked through the nearly 500 pictures over and over again. By then it was time to make supper, eat, and we went to a friend’s house to talk about taking our kids to college in the last week. I fell asleep pretty quickly and read any more. Today’s challenges are to use emoji’s to mimic a favorite plot from a book. Instagram’s challenge today is to share your favorite color through books. I have another busy day with daughter’s orthodontist appointment and open house at school. This afternoon is our first Cross Country meet of the season and tonight we have plans with friends. I am hoping I can find pockets of reading time in there! Good luck with Bout of Books #23! I totally did a title that’s also basically the plot of a book today. Awesome job with your reading though and great TBR!